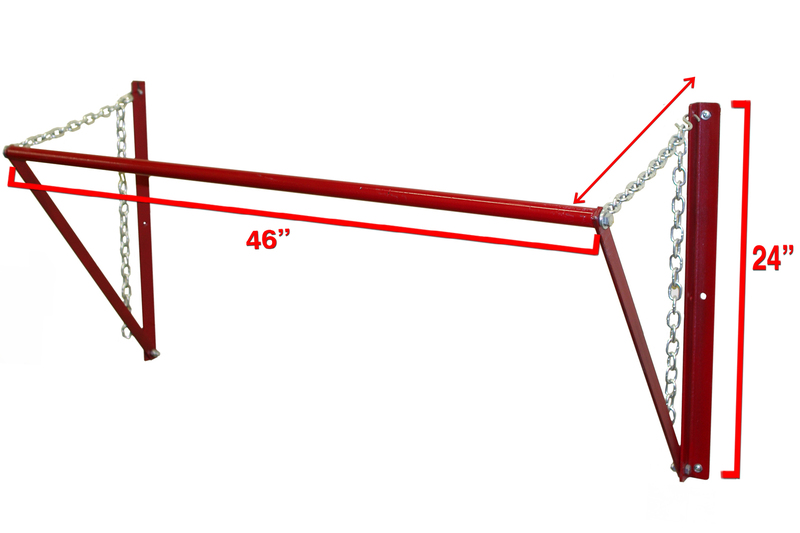 Store 13", 15", and 18" tires with the Wheel Storage Rack. 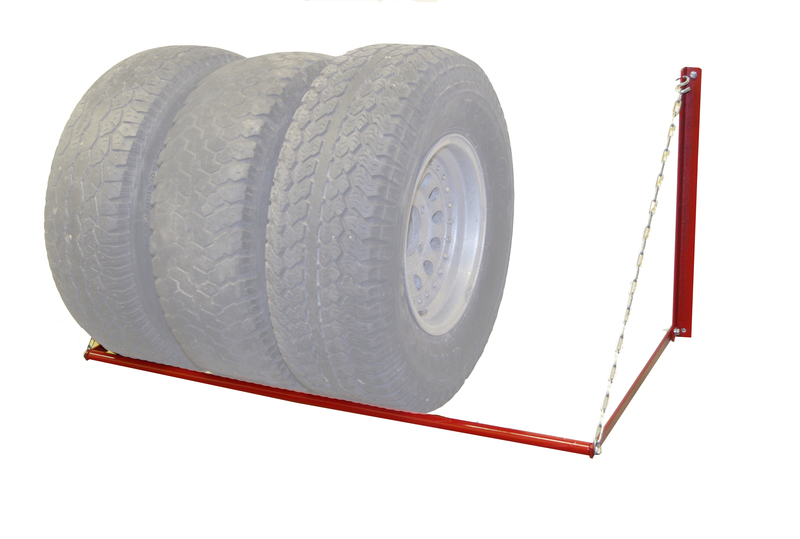 The chain (marked with the red arrow) to allow for different sizes of tires. 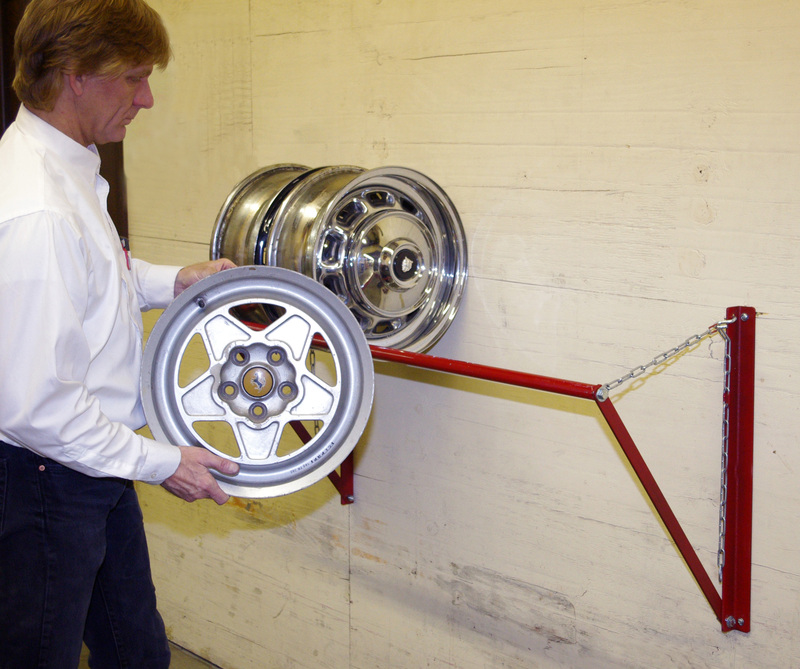 Shown above are 14" wheels/rims on the adjustable storage rack. Keep a cleaner and more orderly shop or garage. 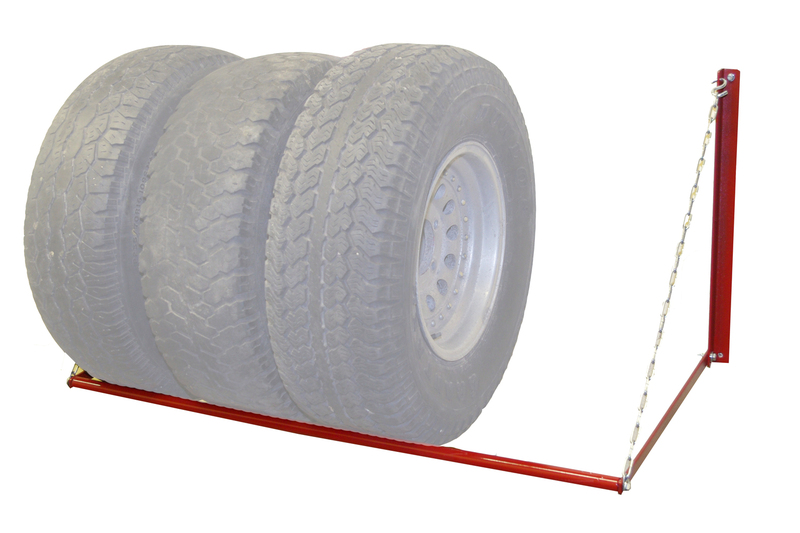 The Wheel Storage Rack allows for easy off-floor storage of wheels and tires of any size. Folds back against wall when not in use. 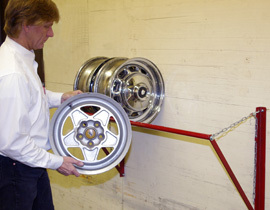 Adjusts (via simple chain link selection) to the size of the wheel or tire you want to store. 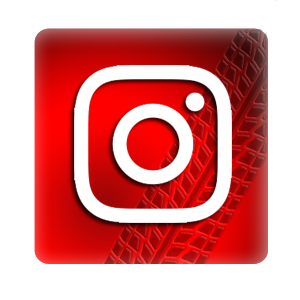 Shown below with 14" wheels/rims, 15" mounted tires, and 18" mounted tires. 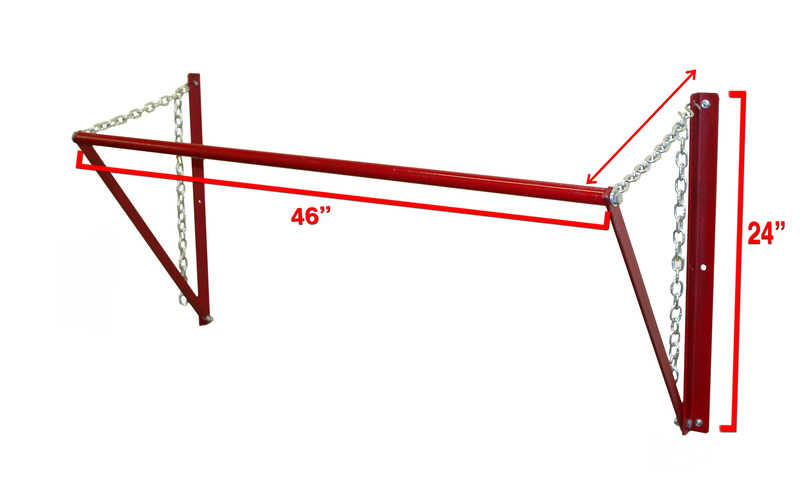 Supports up to: 400 lbs. Shipping box: 4" x 4" x 48"